From time to time, you need to talk with your employees about your mission and the plans for the future of the business. When you communicate your goals with your employees, they will know about the changes that you’re planning to make in the upcoming coming months/years. This will better let them know what their roles and contributions to the growth of the business are. Positive attitude has power in more ways than one. As a business leader, you should exude optimism which will help your staff avoid patterns of negativity. When the economic climate is unstable, businesses will face continual challenges. If you are not optimistic about your ways of conducting business, it can negatively affect the mindset and productivity of those who work for you. Leaders are approachable. Your business will neither grow nor become successful if you have a bunch of people who are unhappy or disgruntled. Your leadership style should be such that people should be able to talk to you freely about their work issues. Inculcating good listening skills is mandatory to becoming a good leader. A good listener will convey empathy and show they are genuinely interested. Leaders will want to find out what’s behind the conversation. Recognize and encourage talent. Take time out to compliment and praise your team and staff if they have achieved something remarkable. More than incentives and certificates, these things matter. They will be motivated to have a higher level of performance. It will also cultivate a positive mindset and work culture. When your staff or team fall short of their performance, ask yourself a few questions such as “Where have I gone wrong?” “What could I have done differently to deliver a positive outcome?” and so on. When you are passionate and enthusiastic about what you do, you would be willing to take the responsibility of failure. If your employees love and respect you, they will be more than willing to share your sorrows and failures. Lean Tip #471 - Focus on result-oriented activities. Pareto’s law states that 80% of the outputs result from 20% of the inputs. This means that 20% of our actions result in 80% of the results. We must find the 20% that is creating the 80% of our desired outcomes and focus solely on those activities. One of the problems with working in an office as opposed to a factory environment is that work becomes less visual. One of the lean principles we use is visual management, and you can do that a few different ways. 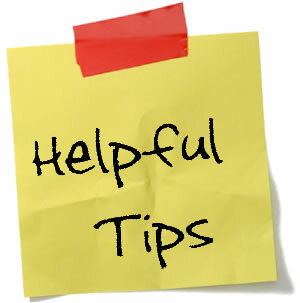 Lean Tip #473 - Keep a project list – and focus on it at least an hour a day. We all have a lot of projects that we’d like to work on – projects that aren’t really essential to what we’re doing, but would go a long way towards making life or work easier once they’re complete. Lean Tip #474 - Never, never ever multi-task! It will decrease your effectiveness and make you feel overwhelmed. It is bad for your mental health, in particular your creative being. You don't need to multi-task anyway if you are using a personal productivity system. Lean Tip #475 – Want to be productive in the office learn to prioritize all interruptions. Lean Tip #476 – Save your inbox by SORTING your email and getting rid of what you don’t need. Lean Tip #477 - STRAIGTHEN the inbox, as in "a place for everything and everything in its place." Find a place for all of your e-mails. The easiest and most obvious way is to create folders based on tasks or other buckets of work where emails can be neatly filed for future use. Put e-mails you need to act on in the proper folder. The goal is to remove as much from your inbox as possible. Lean Tip #478 - E-mail 5S SHINE is to get rid of e-mails and prevent them coming back. Lean Tip #479 - STANDARDIZE how you handle e-mail. Lean Tip #480 – SUSTAIN your inbox by auditing to ensure you are following the rules.